Grounding is a modality of healing that reconnects humans to the earth. Doing this recharges us, helping us feel centered, balanced and less stressed. As modern Westerners, we do not have as much time out of doors barefoot and/or sleeping on the ground as our ancestors did. this has disconnected us and affected our wellness in many areas. Luckily, it is easy enough to restore with a few new habits. Meeting in person, we will get out in nature and go through a series of techniques designed to help you get rooted or grounded. You will feel reconnected with nature and be able to feel grounded in your own body. This type of work is good for people who find themselves with too many scattered thoughts, anxiety and stress. It is also helpful for people with physical illnesses. 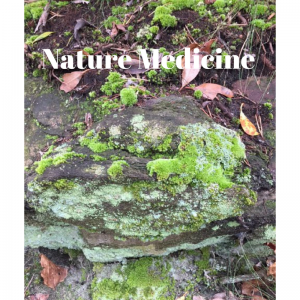 The many benefits of earth medicine include feeling centered, stress and anxiety reduction, decreased inflammation and boosted immune systems. These sessions can be individual sessions or very small groups if friends would like to work together. Shinrin-yoku (森林浴) is the Japanese practice of “forest bathing” or immersing oneself in the atmosphere of the forest for relaxation and health care. Going into a forest, breathing the air there, moving slowly and intentionally, observing quietly has tremendous health benefits. Think lowered blood pressure, lowered glucose levels and stress hormones. These are some of the measured health benefits found by researchers. I will add feeling more grounded and less anxious and peaceful as some wonderful benefits as well, helping you take action to prioritize your mental health. Small groups will be taken on guided Forest bathing walks, where paths and vistas have been carefully selected. Recommendations will be given and the walk will end with a seated conversation about our observations. We will bathe in groups of 8 or less.